Can Gold Nanoparticles Help Predict Heart Attacks? Engineers from the NYU Polytechnic School of Engineering, in collaboration with Peking University researchers, have been developing a new, more sensitive test strip for a biomarker common in heart attack victims. The team created a new fabrication approach that makes colloidal gold nanoparticles with an increased sensitivity for this biomarker, which could provide early detection for heart attacks. The biomarker called cardiac troponin I (cTn-I) is common in heart attack victims. Sometimes this biomarker can be elevated up to several thousand times the concentration found in healthy people. If it were detected earlier, the biomarker could be used to help prevent heart attacks before they occur. While tests for cTn-I currently exist, their sensitivity could be much greater. To improve this, engineers from the NYU Polytechnic School of Engineering collaborated with researchers from Peking University, according to a recent press release. Their goal was to obtain a higher level of performance when measuring the biomarker cTn-I, which was accomplished using microplasma-generated gold nanoparticles (AuNPs). The AuNPs were combined with highly specific immune-chemical reactions to create immunochromatographic test strips. To detect the cTn-I biomarker, the new test strips depend on chemical reactions between the antigen cTn-I and the antibodies that are present on the strips. The AuNPs produced by the researchers’ methods help the test achieve a much greater sensitivity than current methods, according to a recent study published by the team in Plasma Processes and Polymers. Due to a microplasma-generation process, the AuNPs are able to attract much higher numbers of antibodies than traditional chemical methods. The microplasma-processing method leads a much greater negative charge on the surface of the AuNPs, which accounts for the antibodies’ increased affinity to them. The microplasma method of creating AuNPs was developed by Kurt H. Becker, a professor in the Department of Applied Physics and the Department of Mechanical and Aerospace Engineering at NYU Polytechnic, and WeiDong Zhu, a research associate professor at Peking University’s Department of Mechanical and Aerospace Engineering, according to the press release. The novel manufacturing method has also been used for dental and biological decontamination applications. Given the wide range of applications, the researchers are confident that they will be able to extend their results to other biomedical applications, like drug delivery and the detection of neurodegenerative diseases. 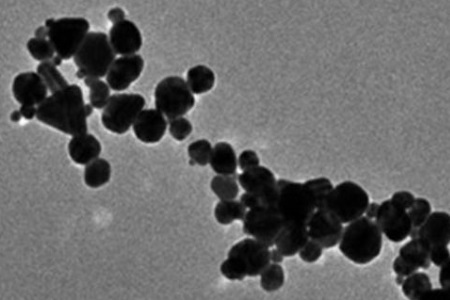 Gold nanoparticles have been used many times in targeted cancer research. In some cases, the particles have induced prostate cancer cells to ingest them, which enables highly specific treatment when the nanoparticles are exposed to laser light.